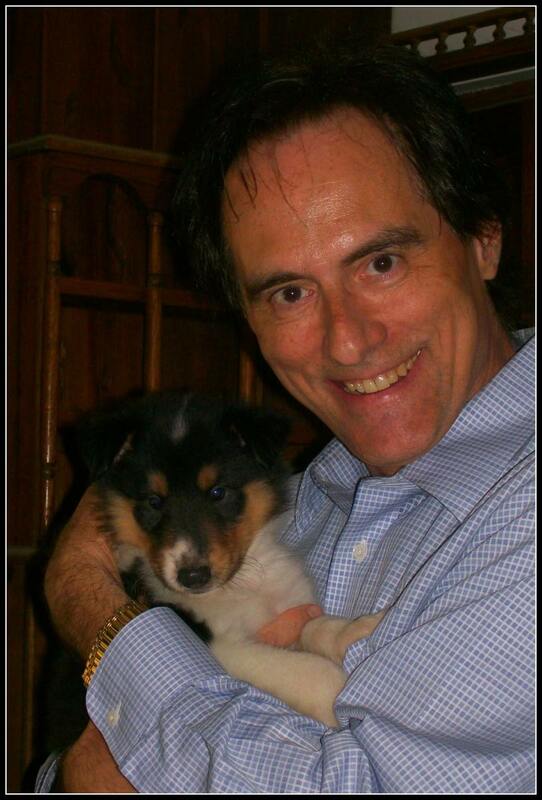 When I was a boy, I had two collies, both named Sparky. Both of them were outside dogs, never leashed or chained; they roamed freely wherever they pleased. We all marveled at how smart they were. If one of my seven younger siblings wandered toward the road, Sparky would gently herd them away from it. 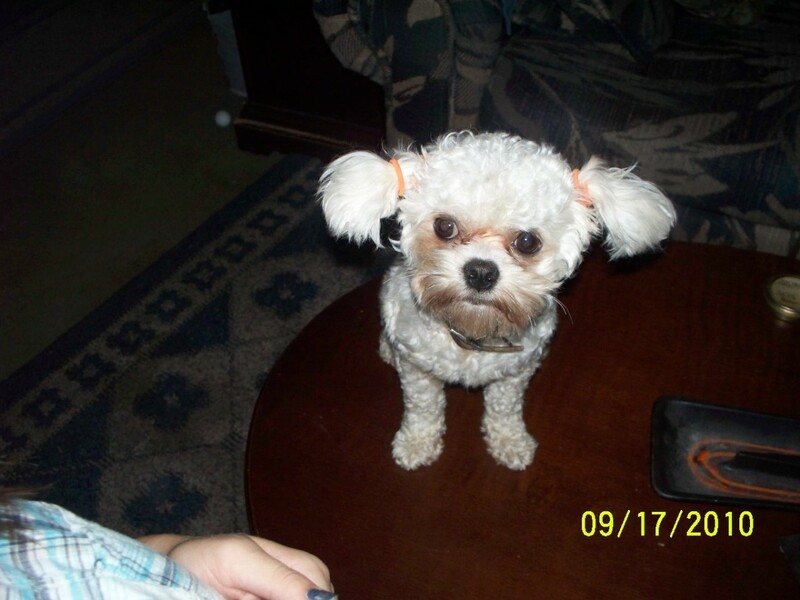 My first Sparky lived with us out in the country, surrounded by farms. 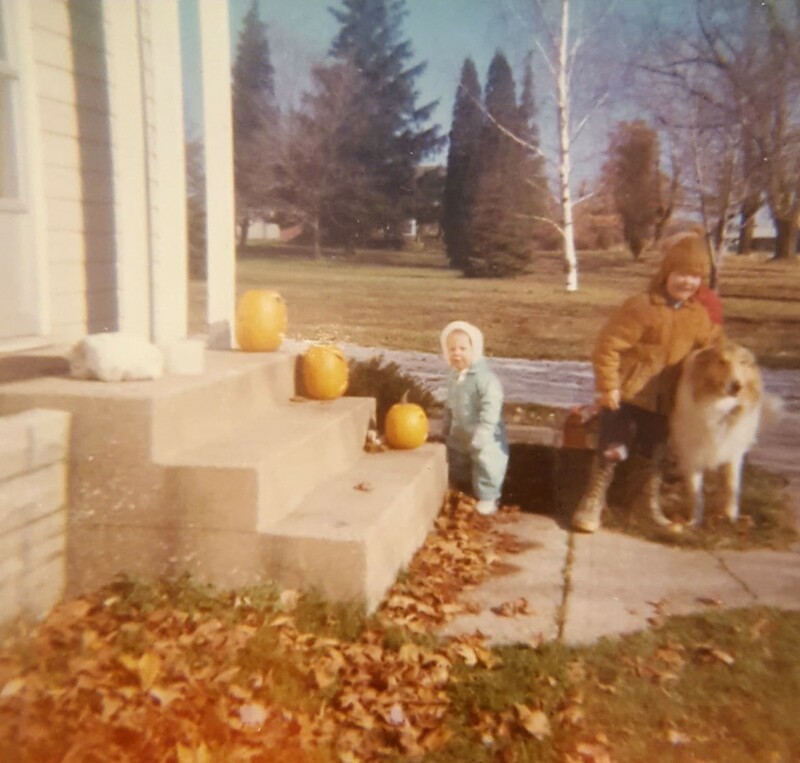 With Sparky # 2, we lived on the bluff above Lake Michigan. When we would go down to the beach, he would keep the children from going out into deep water, tugging on their swimwear to pull them closer to shore. Sparky the 2nd lived in a neighborhood full of children, and everyone on our street loved him. Unbeknownst to us, our neighbor Lady Marjorie took to feeding him steak. My grandma, who lived with us for a time, noticed he started to turn his nose up at the table scraps he used to devour. She'd say, "Sparky, you come back here and eat this food." 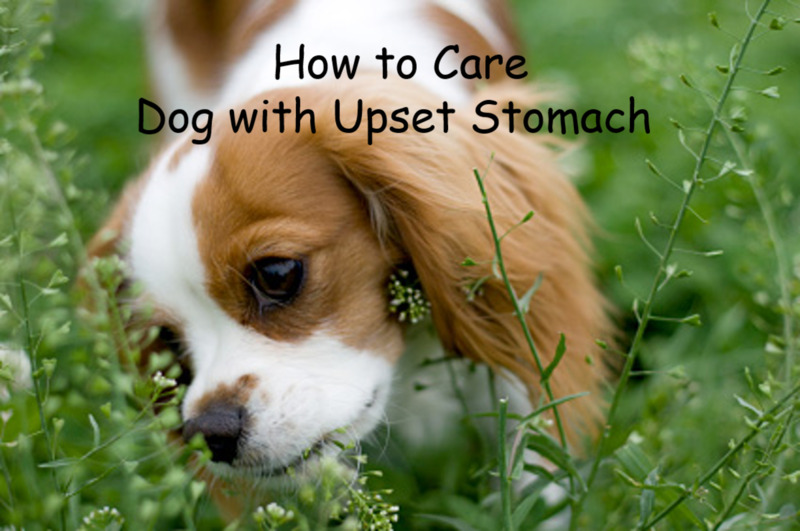 He would sheepishly come back and slowly eat what she put in his food dish. "You can go now," she'd say, and off he'd run. Grandma said, "I swear that dog understands every word I say." 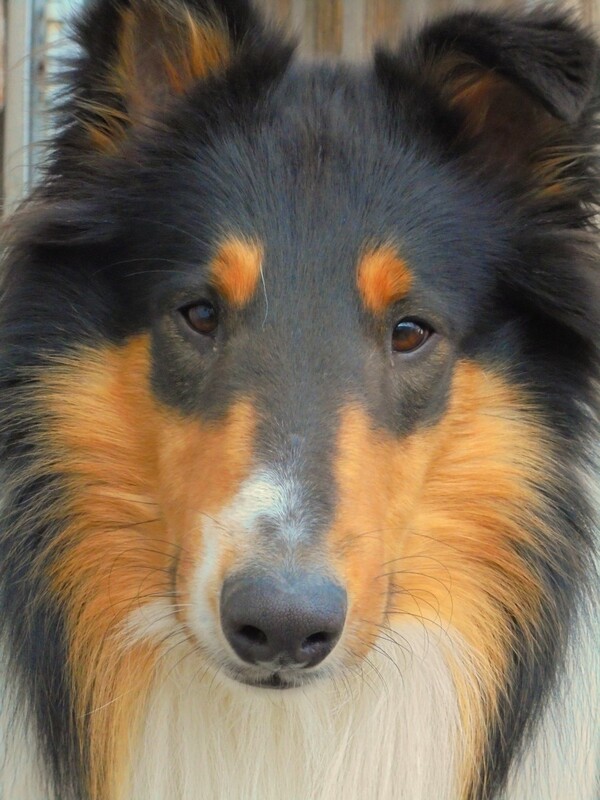 The Collie dog breed I am writing about is more precisely the Rough-Coat Scotch Collie. ‘Rough’ means it has a double coat, with inner and outer layers for weatherproofing. 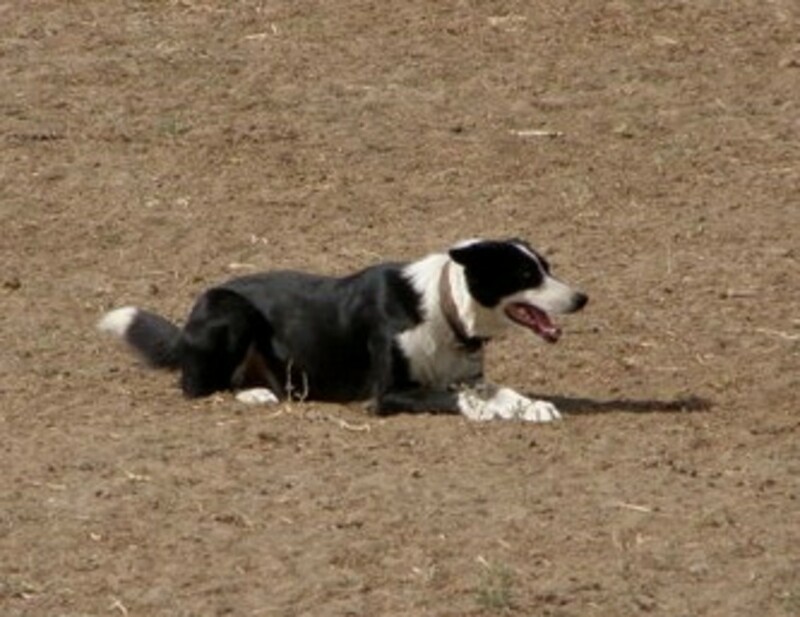 Like all herding dogs, they have an instinct to control the movements of other animals and children. In recognition for acts of heroism by dogs, the Kennel Ration Hero of the Year Award has been given to Collies more than any other breed. 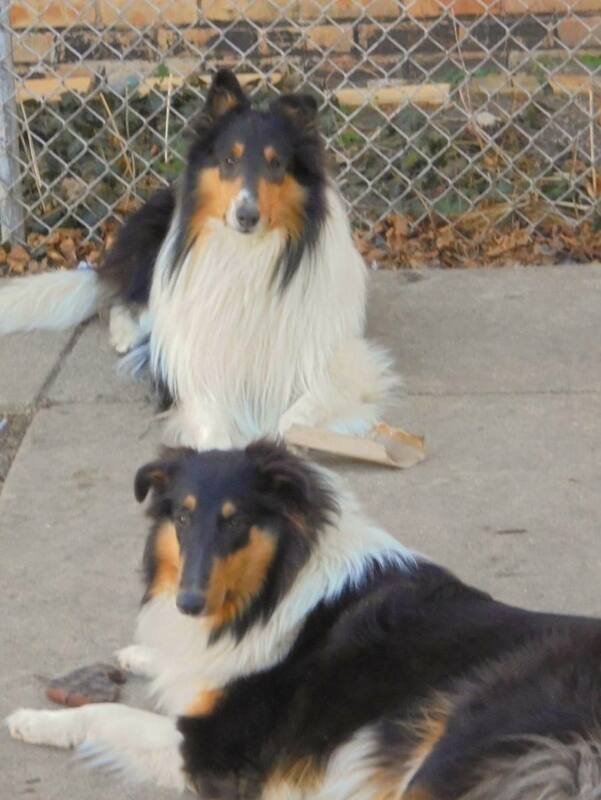 There are three primary colors of Collies: Sable, like Lassie; Tri-Color, like the two we have now; and Blue Merle. They run about two-foot tall. Males weigh in at 60-75 pounds, females 50-65. Collies live eight to fourteen years. 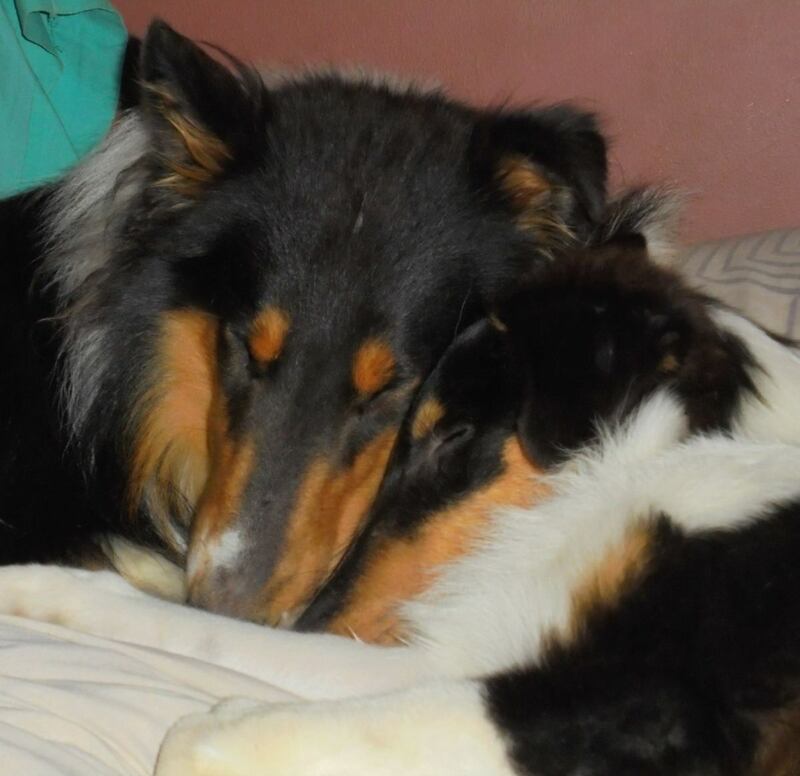 Besides being brilliant, the Collie is known as a dog that aims to please its master and fit in with the family. You can see the wheels turning as he tries to understand what would be the best thing to do. 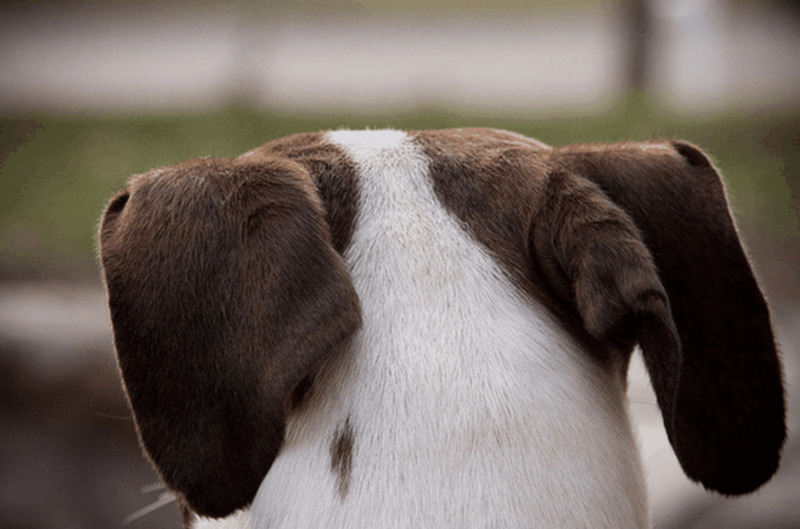 They are elegant, graceful, sweet, gentle, and well mannered towards strangers and other dogs. You ought to encourage them, praise them, and love them. They thrive on love and attention. They need to belong. 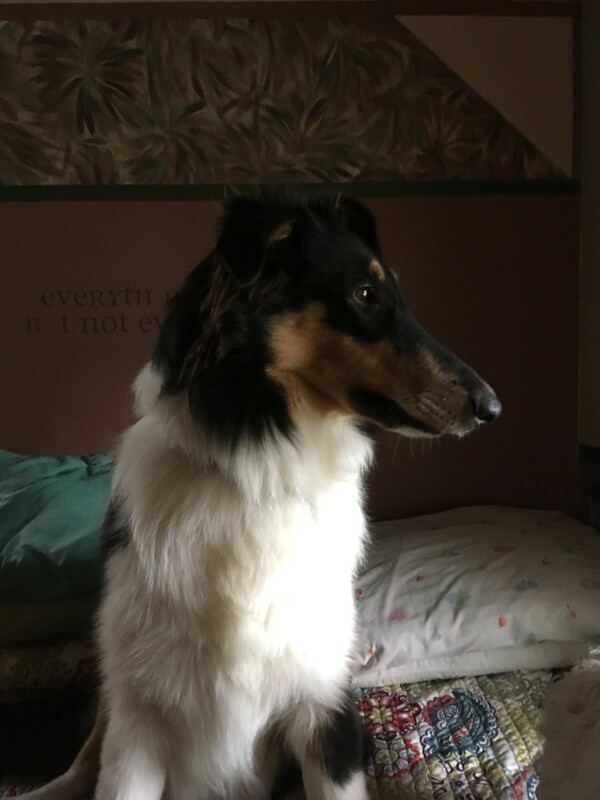 My boy Seamus came from JacLyns Classical Collies in Union, Illinois, where they also raise miniature horses and pygmy goats. 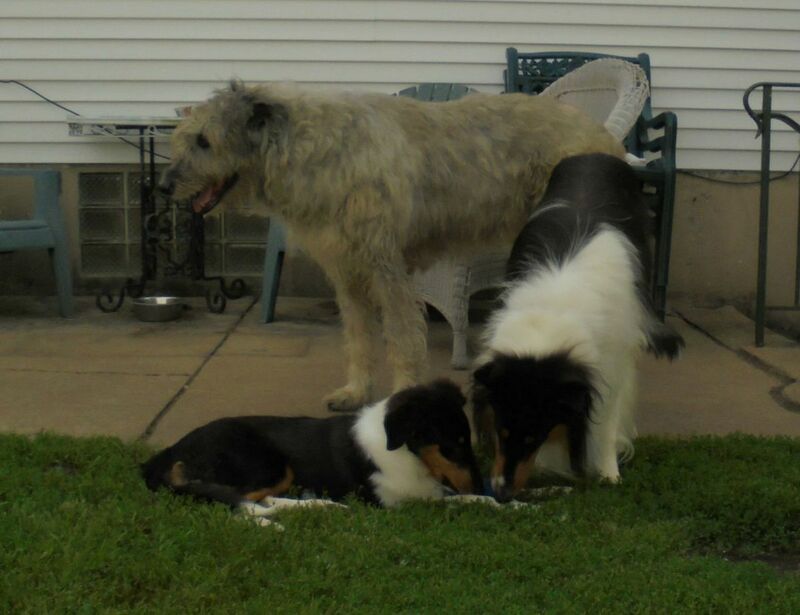 Our girl Grace came from Oklahoma Collies in Yukon, OK, as did Nola, whom we bought for our grandson: His first dog. 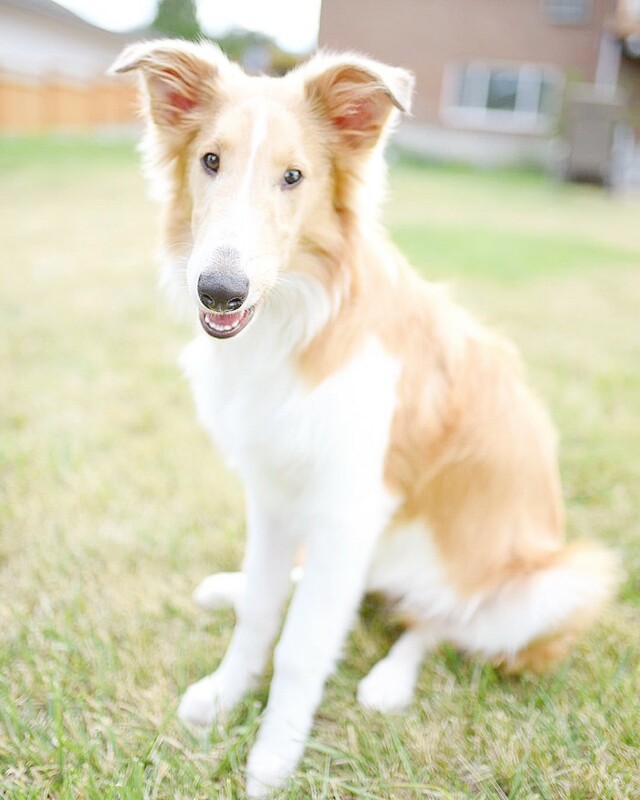 The name ‘Collie’ comes from the Celtic word for ‘useful.’ The dog breed originates in the Scottish Highlands. 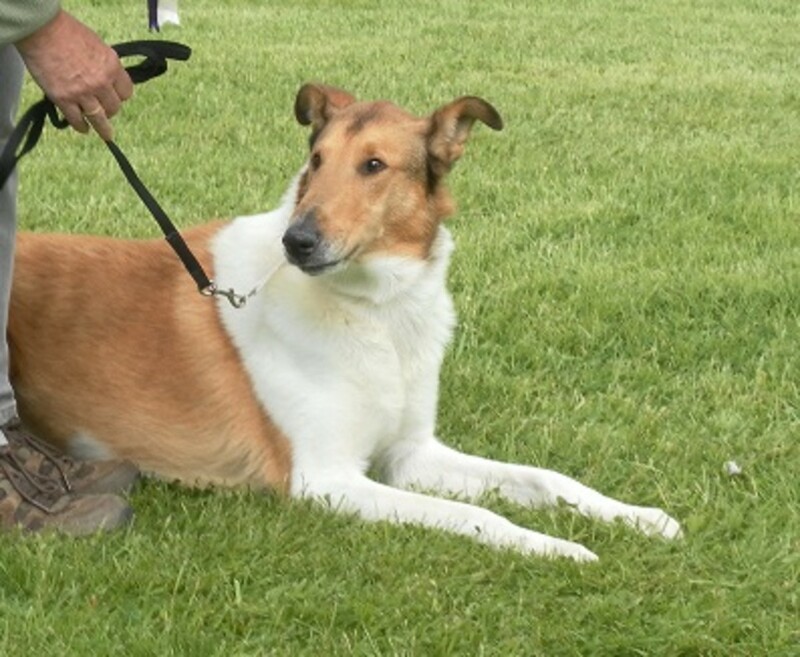 A Collie was exhibited at the 2nd dog show ever, which was held in Birmingham, England in 1860. 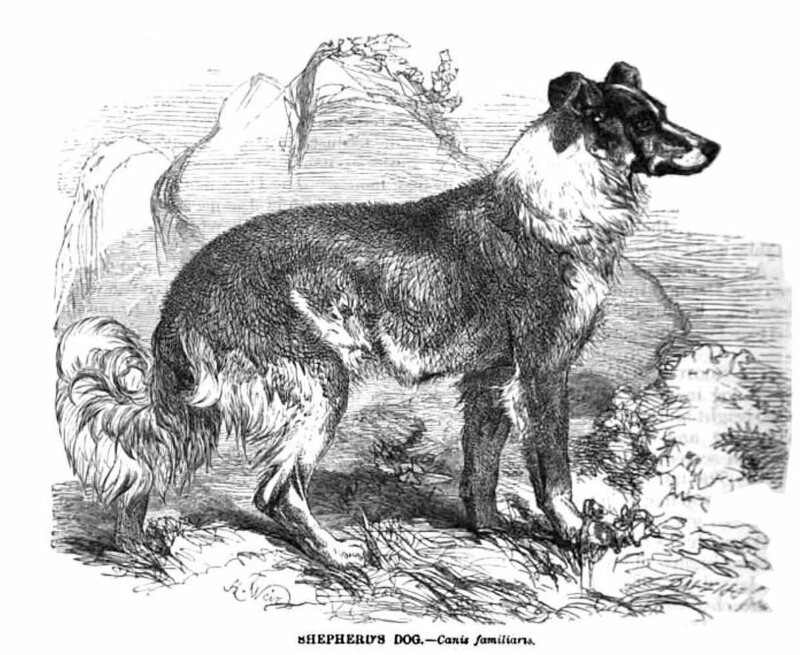 One was shown at the 2nd Westminster Dog Show in New York in 1877, and two years later the first Collie was imported to America. Queen Victoria acquired a few in the 1880s, which led to the dog becoming quite popular in England. 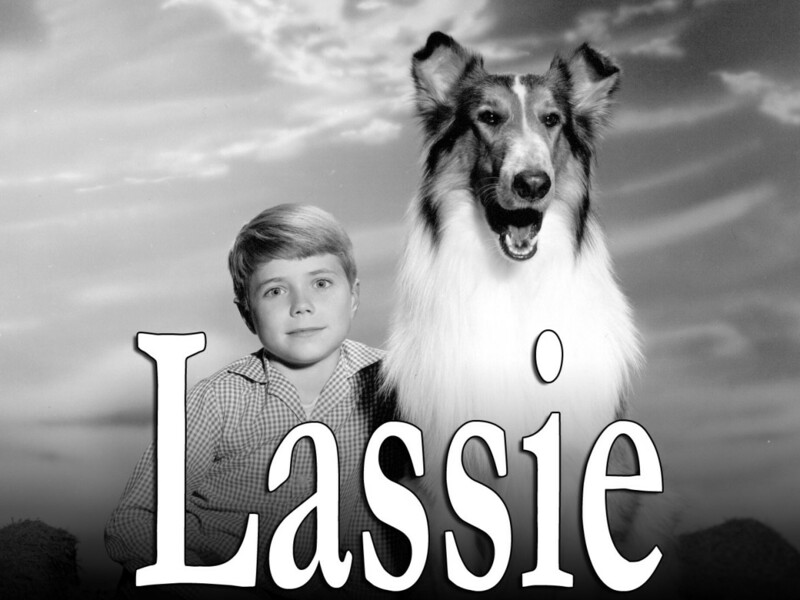 Pal's Son played Lassie in the television program. Here he is with Timmy. 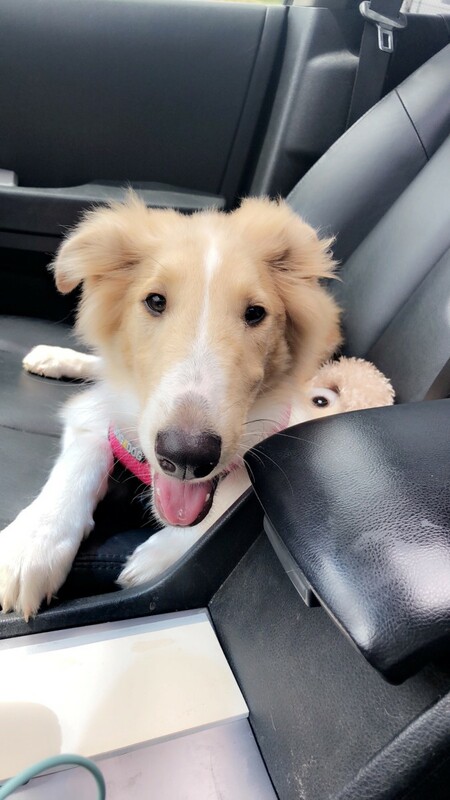 What made the Collie an American Icon were the seven motion pictures about Lassie, and the subsequent television series. 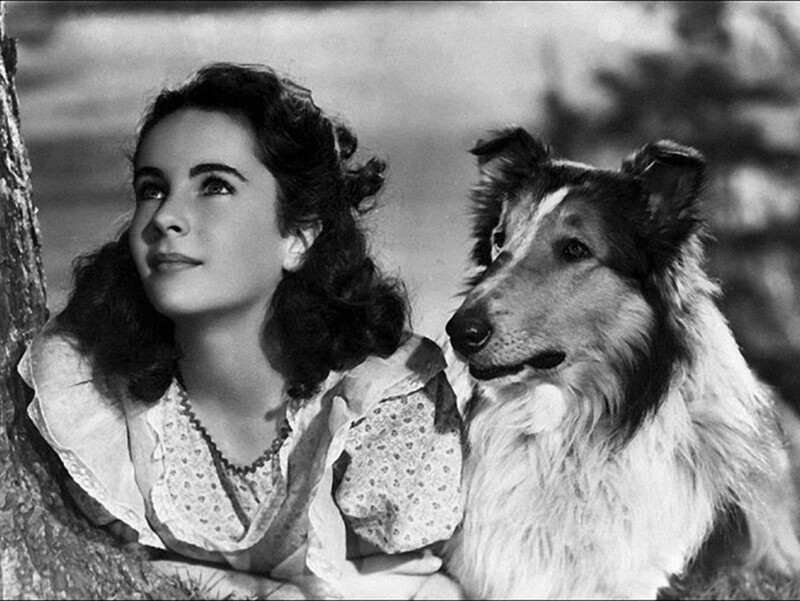 Lassie Come Home was the first film, released in 1943. It was based on a novel of the same name written five years earlier by Eric Knight. 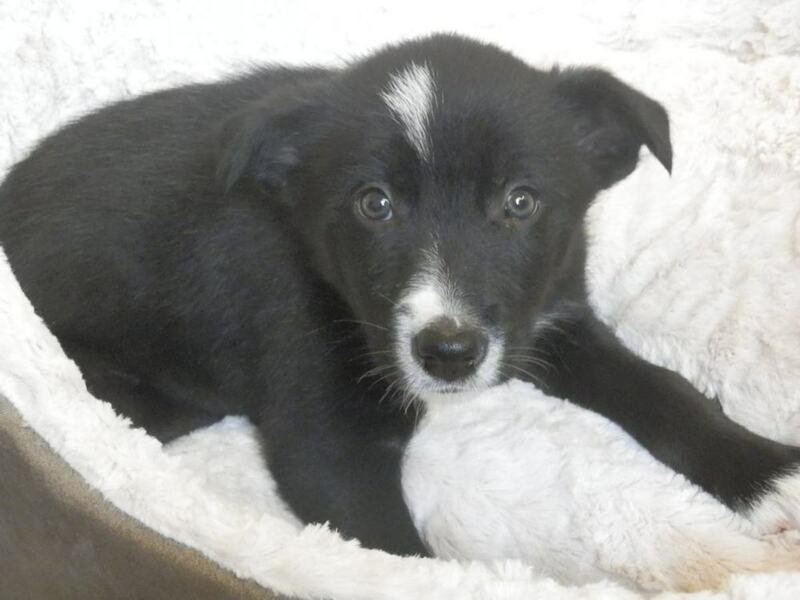 Knight was born Yorkshire, where his family had collies. At age fifteen, he moved to Pennsylvania, where, as an adult, he and his wife bred collies on their farm. 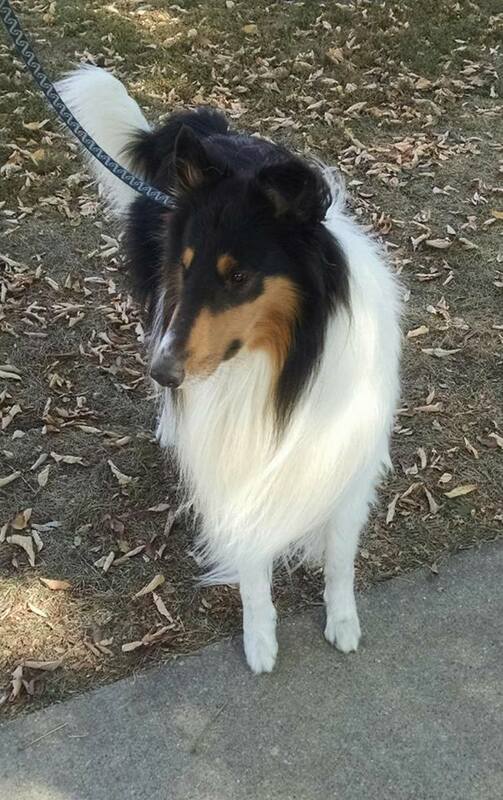 In the book, Lassie is a tri-color, but in all filmed versions she is played by a sable—and a male at that. The male dog is prettier like the peacock is more beautiful than the peahen. The males have the huge mane, or ruff; larger heads and eyes, and more magnificent coat. 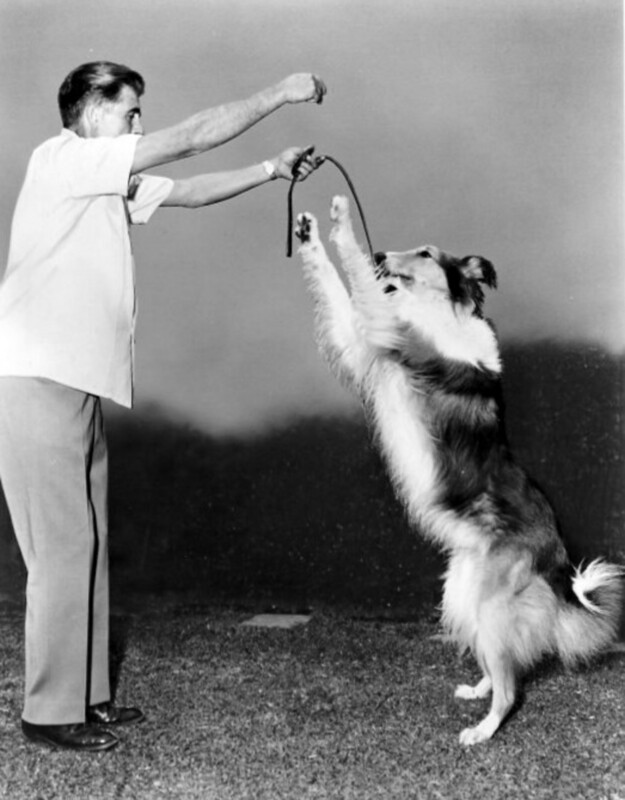 In all seven movies, Lassie is played by a remarkable actor named Pal (1940-1958), who started out in Hollywood as a stunt dog. Pal was owned and trained by Rudd Weatherwax. After he became famous, Pal, in character as Lassie, went on the road and toured America many times, making personal appearances before thrilled audiences in department stores, fairs, and rodeos. He is one of only three dogs with a star on the Hollywood Walk of Fame. Pal’s son, and then grandson, played Lassie on the television program, which would run 20 years and feature 352 episodes. Who can forget that haunting theme song, ‘The Whistler.” It was left up to Pal during the casting call to pick the actor who played the little boy Timmy. 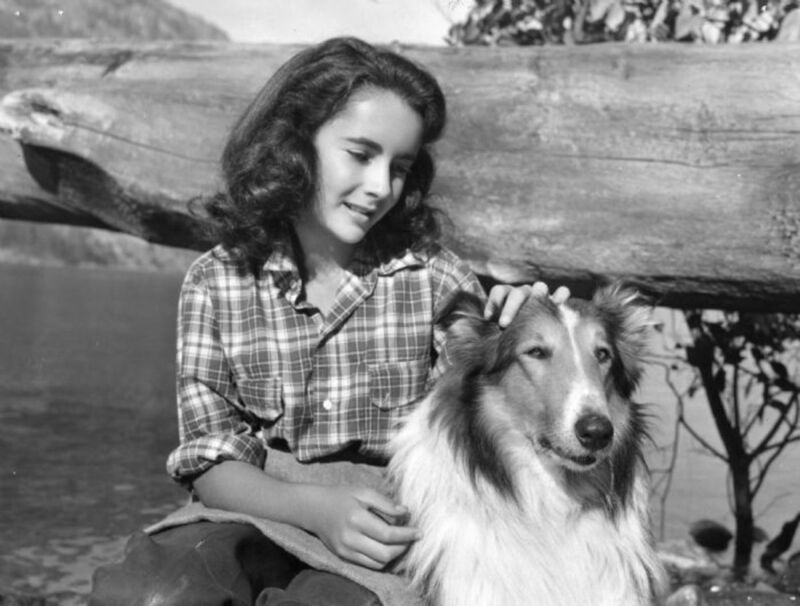 On the list of "The 100 Icons of the 20th Century" Lassie is the only animal. 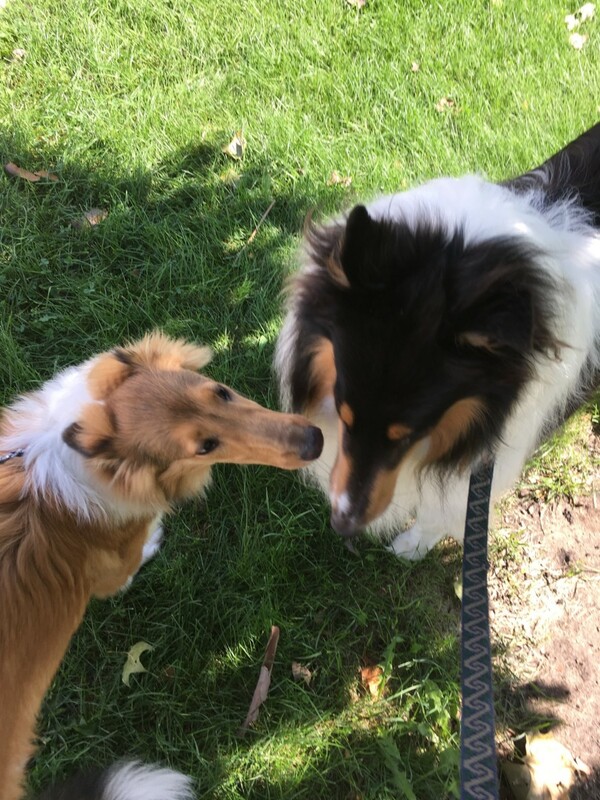 Seamus with Ivey, the Collie Pup belonging to our neighbor. LuAnne Bartnicki. Dianna Mendez ~ Thank you for coming by to visit. I appreciate your correspondence. Yes, we miss our dearly departed, even if they were dogs. I think back to the lyrics of Mr Bojangles: "His dog up and died. Up and died. After 20 years he still grieves." 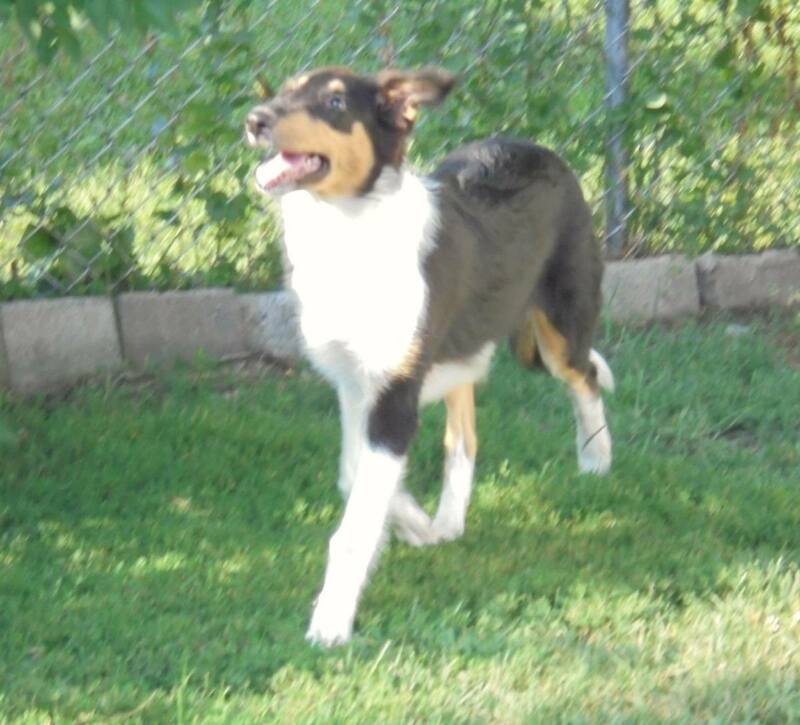 We used to have a sweet collie ten years back and we miss him still today. I enjoyed your pictures and sharing from your personal experience. Cynthia Taggart ~ I'll bet you do miss Blanca. Last week I heard Mr. Bojangles on the radio while I was working out and was struck by that passage where he sings, "His dog up and died, up and died. And after twenty years he still grieves." Ellison Hartley ~ You are quite welcome. I am glad you enjoyed the pictures. Thank you for taking the time to come over and read my article. 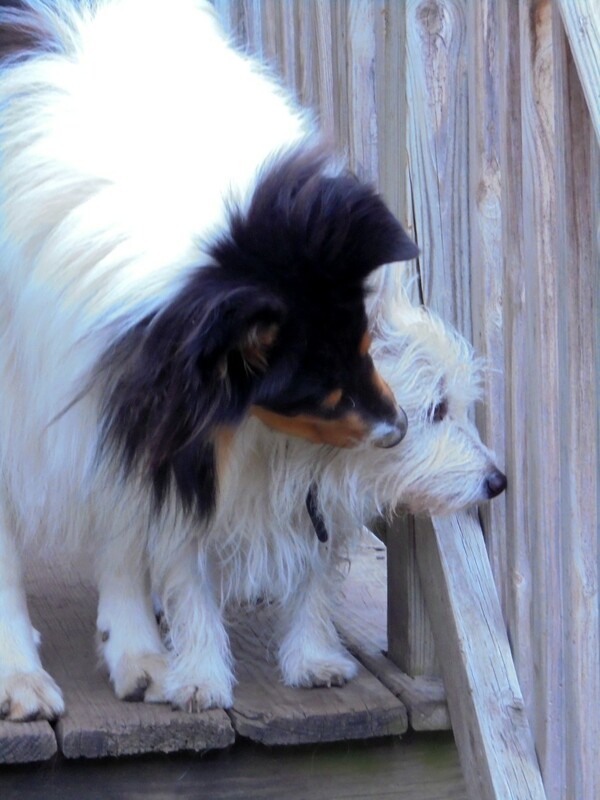 Well, I love Collies, but my dog was a Samoyed - and he watched over us like a hawk when we were kids. 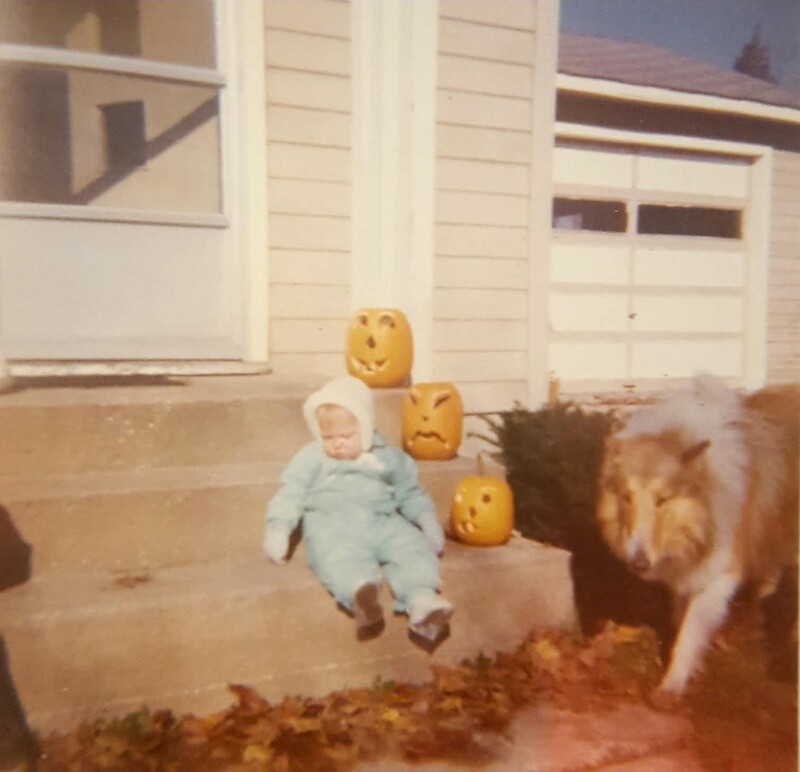 When my brother went out into the street as a toddler, he pulled him back by grabbing his diaper with his teeth, and dragged him back to the curb. Smart dog! Blanca was his name. Miss him. Love the photos in this article, they are so great! Thanks for sharing them! Thanks for sharing this James! 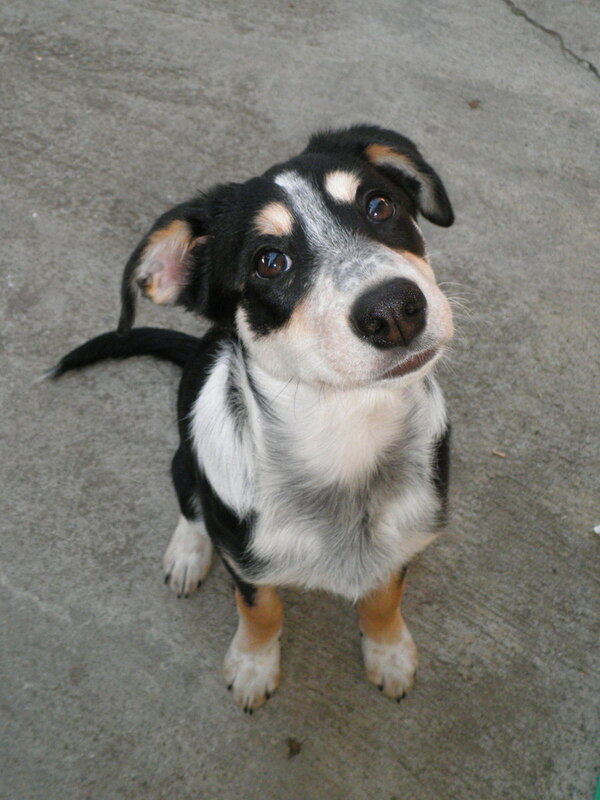 I love dogs and have had several different breeds but never a Collie. Your dog is awesome. 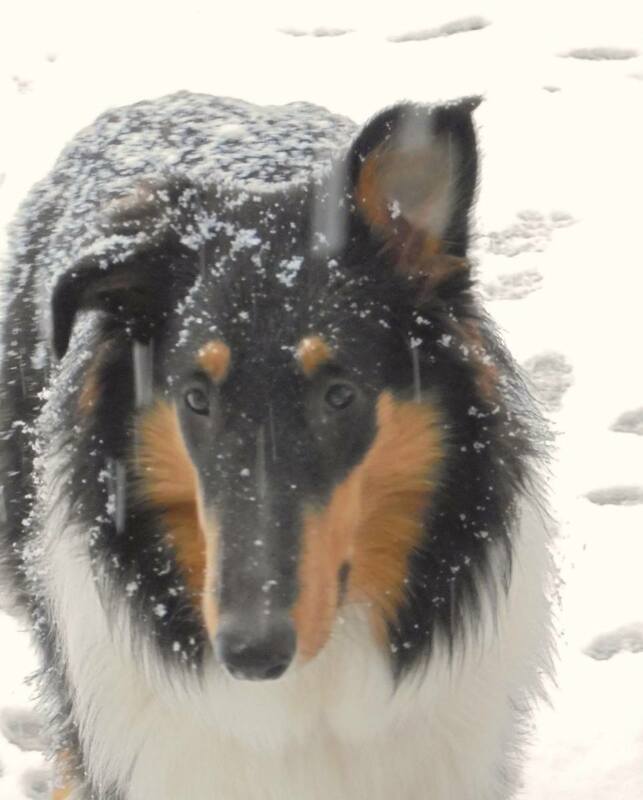 I gravitate toward breeds that don’t need a lot of grooming but Collies are so beautiful it’s worth it. You know what you get when you cross a collie with a trumpet? A Lassie who plays brassie!